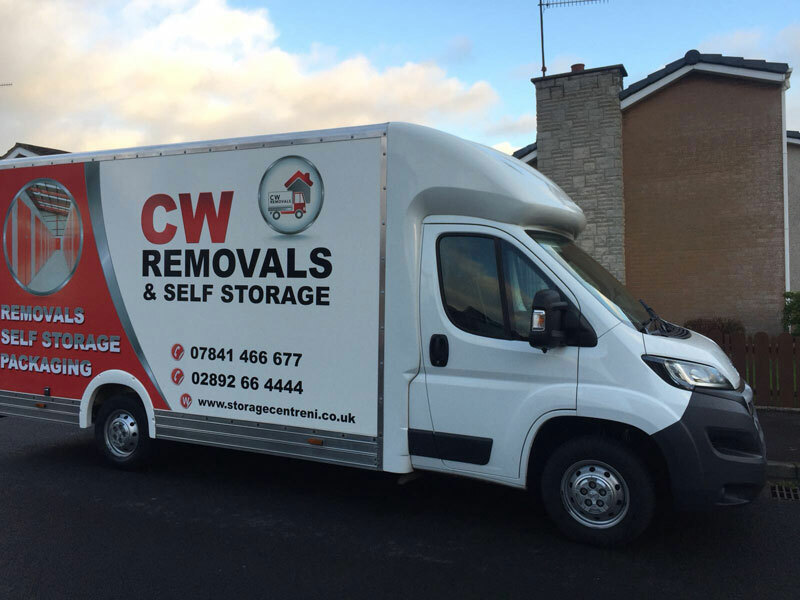 We are pleased to announce partnership with local removal company CW Removals. CW Removals are a highly experienced removals company working locally within County’s Antrim, Down, Armagh and all throughout Northern Ireland and the Republic of Ireland. CW Removals Lisburn can also provide removal services to anywhere in England, Scotland and Wales. Colin Wilton from CW Removals has worked closely with us here at The Storage Centre for the past 4 years and counting. CW Removals are experts when it comes to shifting your items and we’re more than happy to move anything from a couple of boxes to a whole household, garage and garden contents. We pride our service on being flexible to suit your needs, meaning we can accommodate moves whether it be in Northern Ireland, ROI or nationwide. Whether you’re relocating to 1 mile down the street, from Lisburn to Larne or Belfast to Ballymena, we can create bespoke removal and packing services to suit your specific individual needs.